On November 1, we handed over the B20 Presidency to B20 Argentina. But this does not mean that our work has stopped here. Rather, we are not only supporting B20 Argentina in the B20 Troika. We also took a close look at the work that has been done by all of you during the B20 Germany cycle. This report evaluates how the B20 Policy Recommendations are reflected in the G20 Leaders’ Declaration and its annexes. The report is not meant to evaluate the implementation of G20 declarations, as it is too early for such an endeavor only a few months after the end of the presidency. Rather, through a qualitative-quantitative analysis, it analyzes the responsiveness of the G20 to the B20 in G20 communiqués. The report is based on the analysis of all nine B20 focal areas, namely Trade and Investment; Energy, Climate, and Resource Efficiency; Financing Growth and Infrastructure; Digitalization; Employment and Education; Responsible Business Conduct and Anti-Corruption; Small and Medium-Sized Enterprises; the Health Initiative; and the Compact with Africa. It assesses the dedicated B20 policy papers and compares them to the official G20 documents. 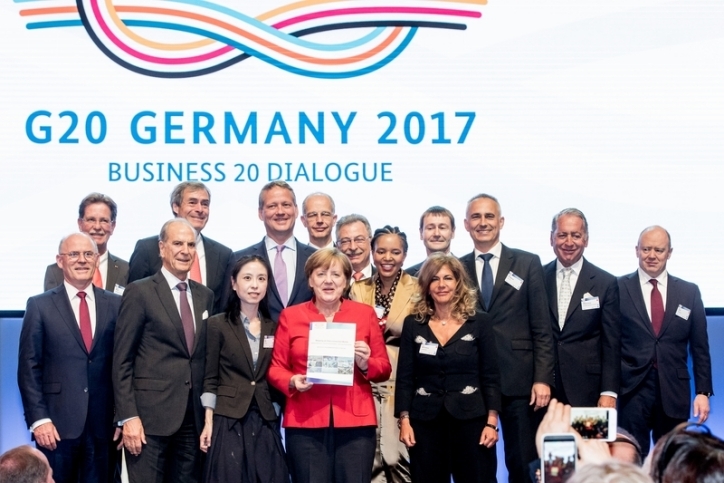 The report is the product of the B20 Germany team and the Knowledge Partners of the respective B20 working groups. It certainly would not have been possible without their commitment, ingenuity, and thoroughness. As the B20 is a continuous process, we hope that this method of assessing G20 responsiveness to B20 recommendations will endure in the future. We are convinced that evaluating the responsiveness of the G20 to its engagement partners enhances overall effectiveness, legitimacy, and performance over time and will have a positive effect on global governance. You can read the Evaluation Report here.